Download Branding & Identity Mockup Template PSD. This is a free Branding mockup template that will help you create great looking presentations for any kind of personal branding, corporate branding, brand logo presentation or office stationery branding. 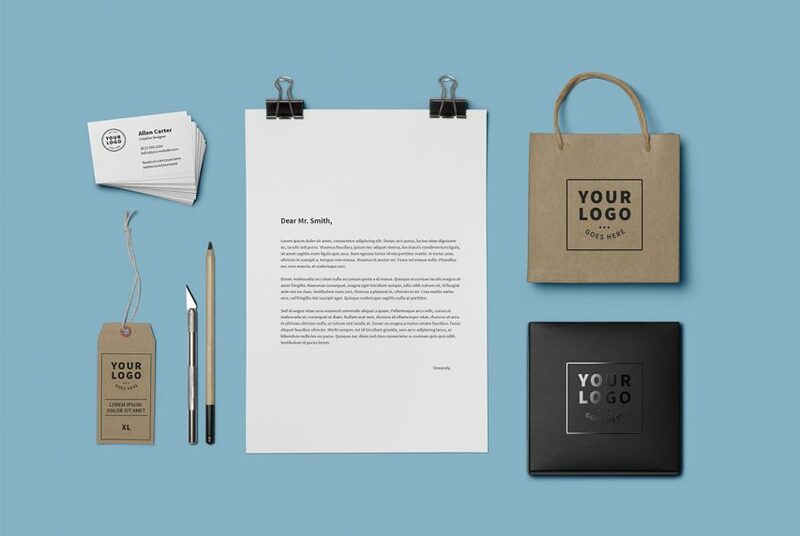 This free mockup scene showcases different objects such as business card, a4 paper/letterhead, brand tag, paper bag etc. You can also use this Free Branding & Identity Mockup Template for creating your design projects presentation to make them visually interesting for your clients. This Branding Mockup makes your work easier and it uses smart objects. Just open the PSD file and place your design on different branding objects inside the smart object. By changing the content of smart object with your design you will get your desired result in few seconds without worrying about placement and perspective. Hope you like this Branding & Identity Mockup Template PSD. Enjoy!